Growing your Sydney-based business in the digital age is seemingly one of the most significant challenges that you can have today. However, it doesn’t have to be all that daunting. The good news that it can be done systematically and innovatively. In this article, we’ll show you how you can succeed in getting it all together and creating the blueprint for success! Where do you belong in this digital age? Are you using the limitless potential businesses can reap out of using the appropriate technology suited for your line of expertise? How current are you in this digital era? Answering these questions will allow you to weigh and carefully analyze where your company is at regarding growth and adaptability. If you want to move your company forward and grow it sustainably, you need to ride the wave that technology introduced to us. Be fearless in your efforts to maximize the available technology you can use to boost the performance of your business. Below are some ways you can consider to do just that. 1. Commit to innovate constantly. There is nothing more exciting to consumers than a product or service that continually reinvents itself in order to serve them better. What is fascinating about this highly digital age is that you can promote your innovation by coming up with a mind-blowing 1-minuter video presentation and spread across several social media accounts. Whether you are a start-up business or along existing company that needs a fresh identity to a new generation of consumers, digital technology can serve your needs in such a limitless and accessible fashion. Making innovation a constant thrust in your company makes you highly competitive in this generation where our digital technology is dominating our way of life. Adapting to this reality is one of the best things you can do for your business and your consumers as well. 2. Use technology to build a healthy ecosystem. This age is a highly connected generation of people. Millions of people around the world feel the necessity of staying connected and enjoying the benefits that our present-day technology is allowing us to utilize. As a response to how people interact in this digital era, it will do your business better if you create a robust digital ecosystem where you, your consumers and other stakeholders can communicate with each other and share helpful insights. Now we are seeing more and more company founders and CEOs such as Elon Musk of Tesla and Alexis Ohanian of Reddit interact with their followers and consumers worldwide in various social media accounts. In fact, their presence on social media has made them very accessible and lovable. This digital age has made the world a lot smaller than we think it to be. Our technology has enabled us to have a real-time interface through video teleconferencing with people from different locations in the world, something that was impossible to do two decades ago. What we have available to us today is the kind of technology that can make growing our business faster and more promising. All you need to do is find out which ones will serve you best. Engage your customers on the Internet. Reach out to them and interact with them. Harvest their ideas and allow them to be a participant in growing your company. In short, allow them to grow alongside your business. Take your business to the next level by making formidable and beneficial collaborations with other companies that can help you promote your product or business and vice versa. The way to go in this very fast-paced and highly competitive generation is to build lasting partnerships rather than antagonize your competitors. Collaborative efforts are often successful when planned carefully. Companies who combine their efforts and resources to advance their cause are more promising than those braving the market singularly. So there you have it, innovate, get your leads organized and engage with your crowd. Driving your company to the next level is only a few steps away! Grow your online presence and capture more opportunities with the help of Callbox’s integrated Digital Marketing Solutions. The opportunities in the technology business seem endless but marketers need to identify the most important marketing elements to elevate the technology business. Statistics show that B2B markets using blogs generate 67% more traffic and websites, largely increasing the number of indexed pages and keyword usage on the website, which allows SEO to rank the website higher in search engine results. Determine which keywords and phrases that could draw traffic to your website. These are words that are relevant to your industry or business. By using analytic tools, you will be able to review the keywords that bring visitors to your website. Publish fresh quality blogs consistently to increase the indexed pages on your website and create entry points for resources to your website. You may also include teasers in a form of questions to generate discussion about your blog. Related: Content Marketing to Conversions: Is It Really Possible? Get your name known both to customers and competitors. Public relations is ‘free advertising’ as per business experts. PR can work through intermediaries like spokespersons, stocks analysts, employees, customers, investors, and trendsetters who can communicate your brand with your audience and influence them. Most technology companies use email marketing for several reasons like thank customers for subscribing to newsletters, invite them to view contents, an event or webinar or inform customers of updates on products and services. Email marketing is ‘the king of the marketing kingdom with 4400% ROI and $44 for every dollar spent’, as per Campaign Monitor. Although social media networks are impressively hitting large audiences worldwide, email marketing poses a longer reach than any social network. Every web user who goes online, in any social and professional network, is required of an email address before he can create an account or log in to a certain site. 60 million businesses have Facebook pages but around 87% of posts on those pages are hardly commented. That’s why it’s important to build your list of followers carefully, segmenting them on lists based on particular hashtags or interest, and at the same time read and respond to questions. A key to customer service, drives targeted traffic, boosts your site’s SEO, helps you understand your audience, build relationship with your audience, allows targeting and retargeting, helps you get noticed at trade fairs, generate earned media coverage, builds brand loyalty, are just a few of the seemingly endless benefits of social media. There’s an array of marketing strategies that technology businesses can take to elevate success rates, but should choose the ones that would address the need of the business and yield results. Callbox has served 600+ companies across NSW – in areas such as Sydney, Central Coast, Wollongong, and other key cities. 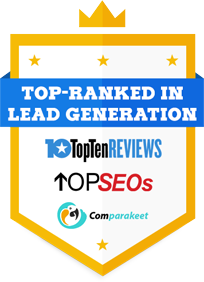 Learn more about our NSW-focused lead generation process.